During February 2017, the number of single-family houses sold decreased by 7.9 percent, the lowest being 201 homes sold in February 2015, while condominium sales rose by 11.7 percent from February 2016. The median price paid for single-family houses increased by 7.9 percent to $755,000 from the same time period last year. The record median price of $760,000 was set in June 2016. The median price for condos increased by 1.7 percent to $385,000 over last year. 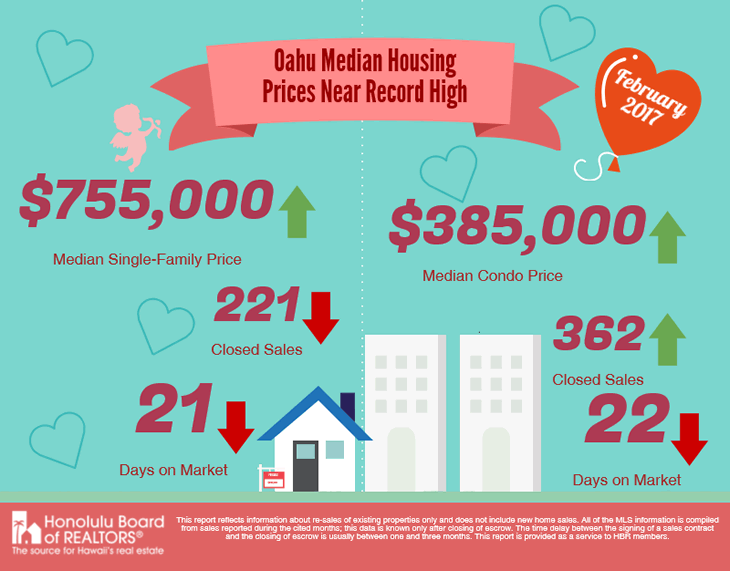 According to the Days on Market indicator, the median days for single-family houses and condominiums were 21 and 22, respectively. Need Help Finding a REALTOR®? Click here.